We bring together the entire plastics supply chain through intimate niche meetings, concentrated conferences and thought leadership. Joining the PLASTICS team as an event partner connects your company to these leaders to strengthen existing relationships, build new ones and generate valuable sales and marketing leads. PLASTICS event partnerships align your company with the industry and directly support the organization as an integral part of making a Better Industry. Better World. 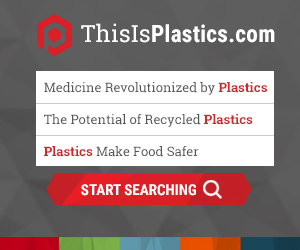 Discover the year-round opportunities with PLASTICS. Let PLASTICS help you plan your entire 2019 outreach to the industry. PLASTICS will promote your company throughout the year with multiple touch points to the markets you choose. By planning throughout 2019, you extend your reach and align your company with industry leaders, influencers and the industry’s trade association. Talk with our team about creating a customized program that meets your budget and exceeds your company’s marketing and business development objectives in the coming year. View the 2019 Partnership Prospectus here.